light peat appears, with some smoked meat! back on the almond, its core and a sweet side, then a little liquorice too! Pretty nice one, although it needs some time. Things start a little light, but it's getting more powerfull after some while. Sweet smoke, floral, fruity, citrus and apples. Some tobacco and hay as well. Pretty smooth, light sweet smoke, caramel and milkchocolate. Some light honey, later on it's getting more powerfull, more pepper. Just a little bit pickering, sweet, honey, some fruit. Later on the finish gets more powerfull too. Pretty long, tobacco. Loch Lomond is nor a big or good name in whiskyland. This is by far not a bad whisky. But the colour? It is almost orange? Quite mature actually, yes there is peat, but also oak, vanilla, honey, barley, apples, pears, apricots. it is a little bit Campletownish (Glen Scotia). Oily texture, light peat, vanilla, not as good as the nose but pleasant. Short finish, not really complex, no off notes. Wel done. 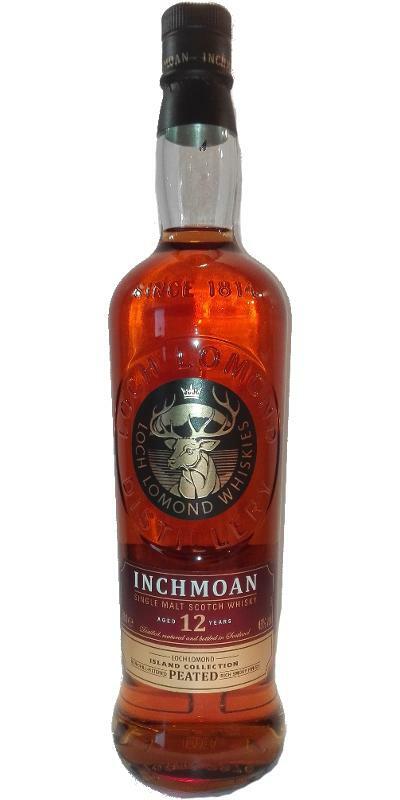 Inchmoan is the heavily peated variety (50ppm) from Loch Lomond, in which different kinds of peat are used to dry the barley. Part of the spirit is distilled in a regular pot still, while the remainder comes from the special Lomond Still. The nose reminds me of a fire basked. There is both lots of sweetness and a bit of saltiness detectable. Quite pleasant. Ship’s rope. Sea weeds; But also lots of citrus in the guise of lemon and lime. Add some roasted nuts. Wet leaves. Wet clay. Some pears and litchi. I am quite fond of this, to be honest. When tasting blind, you might just confuse this with an Islay. Dark and sweet notes are joined by sweet peat (without the typical Islay medicinal traits though) on the one hand and maritime notes on the other. Some green garden herbs and peppers, but most of your tastebuds’ attention will be drawn by pomelo and lemon in a smoky jacket. All good, I have to say. The finnish, which is quite long, offers touches of ashes and some cold coffee. Well, this is almost as good (although quite different) than the Inchmurrin 12 (from 2017! ), but lacks a bit on the fruity notes. Lovely peaty whisky, though! Loch Lomond had the first charring machine in the UK, back in 1994. Charring at LL starts at 300°c, increasing to 500°c for a medium char. A 6-7 minute char at 700°c reaches [Ardbeg] Aligator levels where the inside of the cask is effectively destroyed. Inchmoan mean island of the peat. This smoker is made up of straight-necked & pot still distillate [a 66/33 ratio], with a peat level of 50ppm. LL make a medicinal peat and a spicy peat spirit, maturing them separately for around 12 years in re-charred US casks before marrying. This process creates a uniquely different peat style. N: Peppery & salty start with peppered ham, plimsolls, lamb and muddy white pepper. Reminds me of SMWS’s recent Laphroaig releases. T: More of that SMWS Laphroaig style [though lighter], with flavours of turkey, flakey pastry, white pepper and spice. F: Muddy ash and vanilla. Dust. Wet leaf piles. Chalk. Moulding clay. Citrus zest. Wet cardboard. Newspaper. Extinguished bonfire. Hints of pears and lychees. Light spiced wine. More dank notes, wet leaves, clay, cardboard, like in the nose, but with an additional mineral peat note. Slight lactic creaminess here, but not nearly as pronounced as the Inchmurrin 12. Bitter citrus, pomelo rind. Some cinnamon and nutmeg. A peppery flair on the swallow. Medium-long. Pepper continues throughout the finish and goes on even when everything else has faded. Mineral peat. Wet stone. Something that reminds me a lot of salty pretzels in dark chocolate. 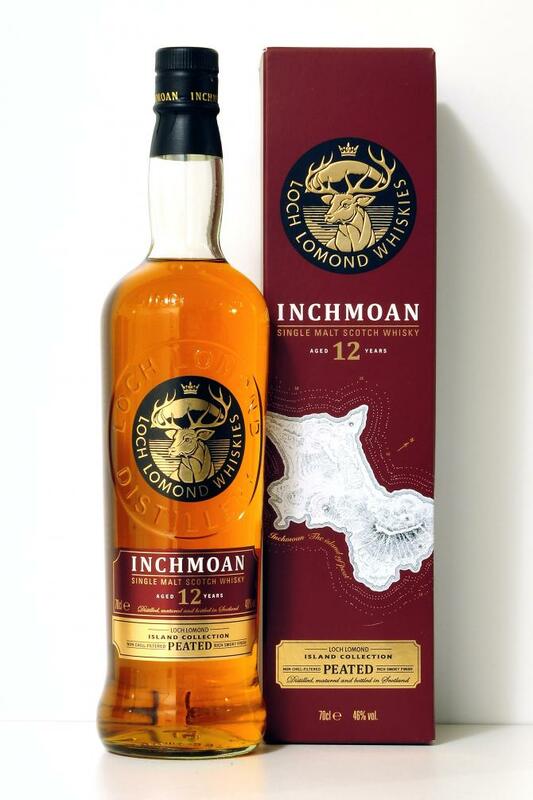 Older Loch Lomond whisky wasn't really one of my favourites, but I heard good stories about it lately, including the hype around the "law and order Whiskynerds bottlings" So i gave this one, together with the standard Inchmurrin 12, the Madeira finish and the Loch Lomond Single Grain a try. I must say, am impressed, quality drams.